The speed camera located on the northbound lanes of Interstate 295 near the Naval Research Lab "was removed for repairs following an act of vandalism," D.C. police told WTOP. WASHINGTON — An expensive speed-enforcement camera along a busy freeway in D.C. has been vandalized, police said. That same camera was recently relocated after it was criticized for being a safety hazard to passing drivers. 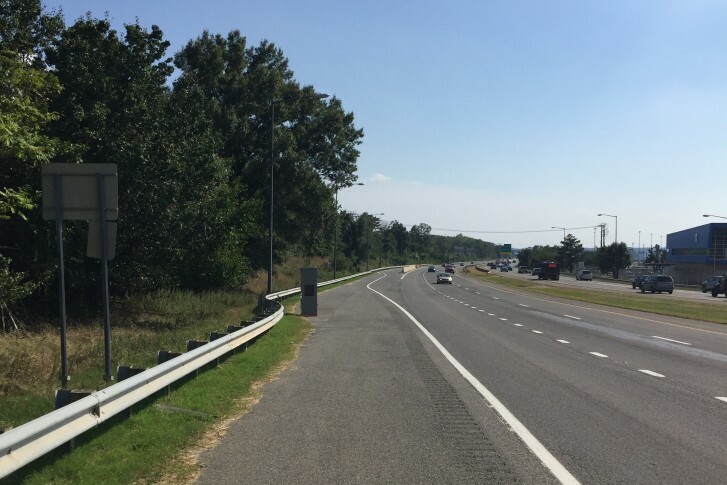 The speed camera located on the northbound lanes of Interstate 295 near the Naval Research Lab “was removed for repairs following an act of vandalism,” D.C. police told WTOP. The vandalism was reported on the morning of Sept. 5. Police would not elaborate on the incident, but say that “the camera received a substantial amount of damage,” adding that the Bureau of Alcohol, Tobacco, Firearms and Explosives is conducting a separate investigation. The camera would be returned to its previous location on the right shoulder of I-295 once the costly repairs are completed, police said. It was moved about 500 feet north of its original location just last week. The camera’s precarious placement on a narrow strip of pavement about a mile north of the Maryland/District line was called into question by AAA mid-Atlantic’s John Townsend, who called it “one of the most unsafe speed camera locations” in the city.